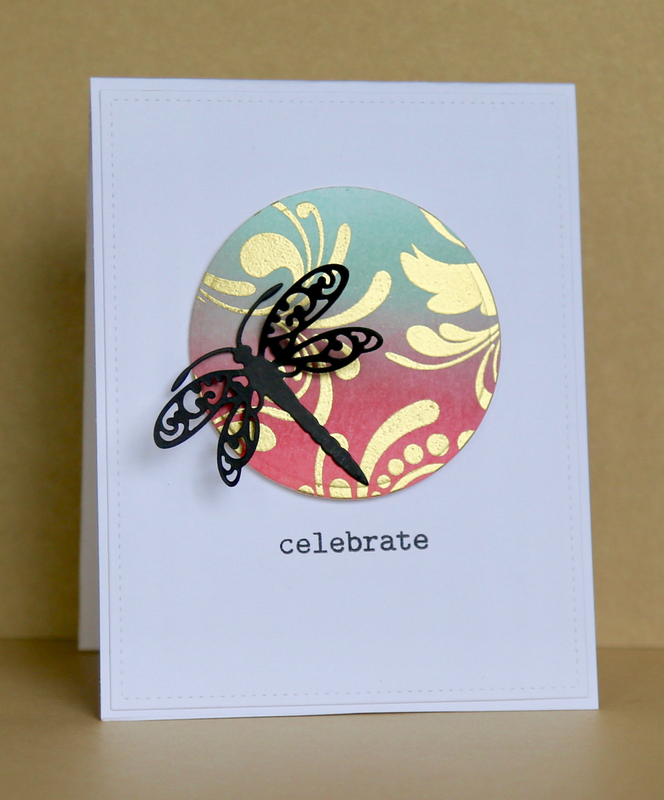 I blended a circular panel with distress inks, added some gold embossing using Paper Smooches Curls and Swirls and a pretty die cut dragonfly. The sentiment's Winnie and Walter. Not sure whether that mojo's been found yet but it's a start. Hopefully it won't be another two months between inky sessions! I know exactly what you're talking about... my mojo disappears in the Indian ocean when I travel home! Good to see you again with this gorgeous card. Gorgeous! I was wondering if you were ok- glad to hear it was a visit! !